The products distributed by Nuova Omp Srl are represented by a wide range of boring, milling machines, lathes and machining centers of the most prestigious Czech brands. Great quality and reliability equate new and used products, making both the options a valid and safe investment. The machines can be viewed directly at Nuova Omp Srl’s, with the possibility’ of immediate delivery. TOS VARNSDORF a.s., located in Varnsdorf, Czech Republic has a hunderd years old experience in the manufacture of machine tools. The company was founded as Machine Tools Factory Arno Plauert, back in 1903 and has continued to grow becoming a big company well-known for its machines worldwide. The current main markets are Germany, Czech Republic, Finland, Poland, Russia. Sales are steadily growing in China and other nations. The machines are characterized by high performances, innovative design and reliability as a result of a well established engineering expertise combined with cutting edge solutions. TOS VARNSDORF a.s. high design standards have been recognized through 1996 ISO certification 9001. A tradition of more than 70 years in the production and development of machine tools has enabled the MAS KOVOSVIT to receive several awards for technical contribution in the development of machine tools. Its production range is mainly aimed at the suppliers of Automotive, Energy, and aviation and industry offering to its customers a full service, tailor-made solutions, flexibility, exclusive products and servicing. The company began the production of machine tools in 1939, offering in a short time a wide range of solutions and equipment. The current KOVOSVIT MAS production combines a long-lasting experience in machine manufacturing, a source of reliability for its customers. 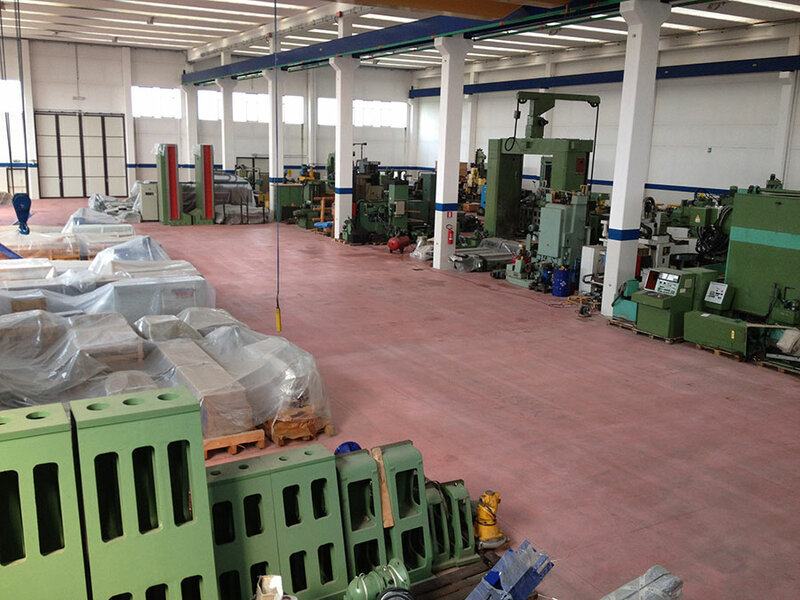 It includes vertical and horizontal machining centers, centers with 5 axes and gantry, CNC lathes, universal and self-learning and turning centers. In November 2006 acquires Quality Control System Certificate CSN EN ISO 9001:2001, a way of continuoing improvement of all company processes. Below you can find the complete list of available used machines. You can get detailed technical specifications and pictures, ordered by type, in the dropdown menu here. For much more details, pictures and any information you may need, do not hesitate to contact us.